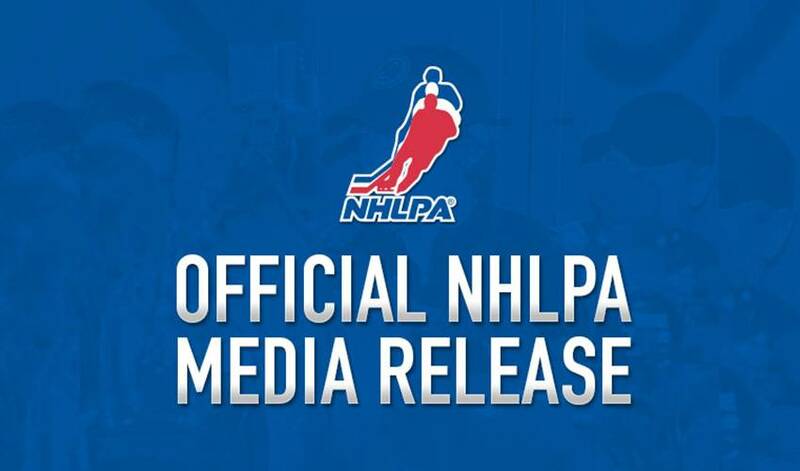 LAS VEGAS (June 22, 2011) – The National Hockey League Players’ Association (NHLPA) today announced Daniel Sedin as the recipient of the 2010-11 Ted Lindsay Award, presented annually to the “Most Outstanding Player” in the NHL as voted by fellow members of the NHLPA. Ted Lindsay was on hand to present the players’ award as part of the 2011 NHL Awards, held at the Palms Hotel in Las Vegas. The finalists for the 2010-11 Ted Lindsay Award, Corey Perry of the Anaheim Ducks and Steven Stamkos of the Tampa Bay Lightning, were also in attendance. “Congratulations to Daniel Sedin on receiving this award from his fellow players for the wonderful year that he had in Vancouver,” Lindsay said, after presenting the trophy that bears his name. Sedin, of Ornskoldvik, Sweden, is now just the second Canucks player to receive the “Most Outstanding Player” award as voted on by the players. He follows former teammate Markus Naslund who received the honour in 2002-03, then known as the Lester B. Pearson Award. Sedin also becomes the first new recipient of the Ted Lindsay Award in three years as Alex Ovechkin received the “Most Outstanding Player” award in each of the last three seasons. His brother, Henrik, was a finalist for the Award last season. Daniel had an exceptional 2010-11 campaign, one in which he appeared in all 82 games in the 2010-11 regular season for the Canucks. He secured the Art Ross Trophy for most points in the regular season (104), tied for fourth in goals (41), and placed third in both assists (63) and game-winning goals (10), while also helping lead Vancouver to their first Presidents’ Trophy in the regular season, prior to the team’s run to the Stanley Cup Final. In recognition of being named the 2010-11 Ted Lindsay Award winner, Sedin was presented with an elegant men’s watch from Breitling. Fans and media are encouraged to visit www.nhlpa.com to view further background information on the Ted Lindsay Award and finalist profiles.